Two new Mac Pros today with some pretty serious power configurations and very-serious price tags. There’s a quad-core version that starts at $2499 and an eight-core version that starts at $3299. 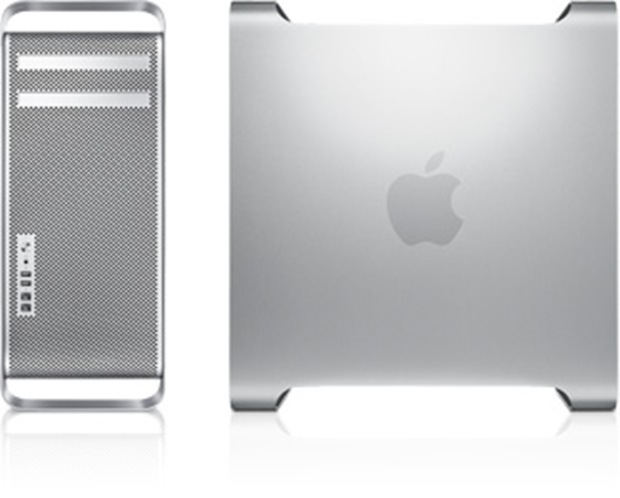 Possible upgrades include bumps in CPU speed, up to 8GB of RAM for the Quad-Core or up to 32GB of RAM for the 8-Core, a $700 Mac Pro RAID card, a 1TB hard drive, up to three additional hard drives (up to 1TB each), up to three additional NVIDIA cards or an ATI Radeon HD 4870 with 512MB of RAM, an additional DVD burner, and various display configurations and additional accessories.